Adding & Subtracting 10 from a double-digit number can be a tricky concept for firsties. 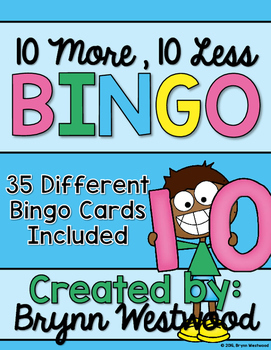 Here is a low prep-print and play activity that can help your kiddos practice adding and subtracting ten from a double-digit number over and over. 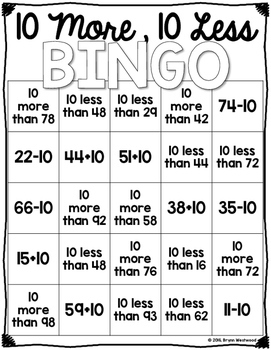 On each bingo board there are 25 equations or words where the students practice adding ten to a double-digit number or subtracting 10 from a double-digit number. 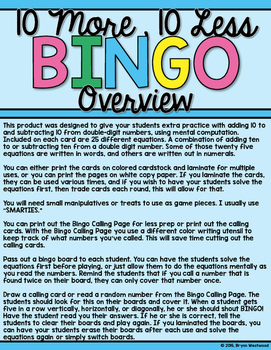 Before playing, you can have your students solve the equations, or you can simply play, allowing your students do mental math as they play. 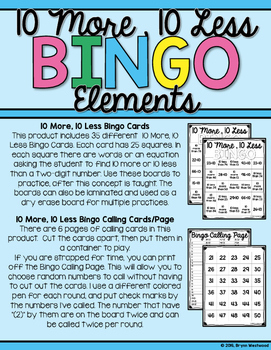 Then, all you have to do is pass out a small treat or manipulatives and play!